Ms. Sturlese joined WEDGE in 2013. She oversees the company's finance and administration activities including Risk Management, Human Resources, Information Technology, Tax and Finance. Ms. Sturlese previously served as the Senior Vice President of Accounting and Finance and was a key team member of the WEDGE Energy business, which was sold in 2016. Prior to joining WEDGE, Ms. Sturlese served as the Director of Financial Reporting and Accounting Policy of WG Consulting, LLC, a full-service consulting firm collaborating with clients to solve their most complex financial, operation, and technical challenges. 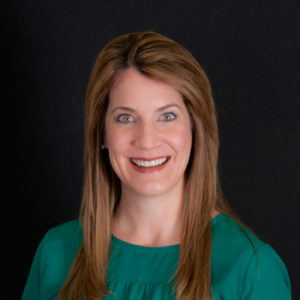 Previously, Ms. Sturlese was Director of Financial Reporting and Accounting Policy at Valerus Compression Services, LP, a growth-oriented limited partnership that provides turn-key natural gas processing solutions to the exploration and production industry. Ms. Sturlese was a manager of Internal Audit and Technical Accounting at Opportune, LLP, a leading international energy consulting firm specializing in assisting clients across the energy industry. Ms. Sturlese also spent a significant portion of her career auditing publicly and privately held companies with Ernst & Young LLP. Ms. Sturlese attended Louisiana State University and earned a Bachelor of Science in Accounting in 2001. She also received a Master of Business Administration from Louisiana State University in 2003. Ms. Sturlese is a Certified Public Accountant and Certified Internal Auditor. Throughout Ms. Sturlese's career she has served as a member of the Junior League of Houston and is a volunteer at the Houston Livestock Show and Rodeo. She is also currently a member of the Central Houston, Inc., Millennial Enterprise and Women in Finance And Accounting Leadership.